Music Unites announces their first milestone achievement toward accomplishing their Five Borough Youth Choir Campaign Initiative to fund five Music Unites Youth Choir programs across NYC’s five boroughs with the January 2012 launch of their inaugural youth choir at The Women’s Academy of Excellence in the Bronx. 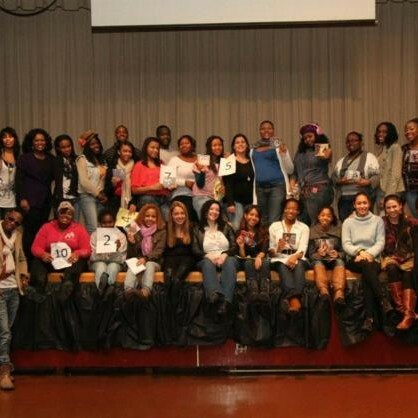 Auditions were held on January 7, 2012, with a total of 16 young ladies making the final cut for the Music Unites after-school programs. The Official Music Unites Youth Choir and After-School Music Unites Guitar Program will be led by Rachel Fry and Shaheed Shabazz.